Ah, the 50mm f/1.8 prime lens. It's one of the most popular lenses in the world, but if you shoot Nikon, you have two choices of models, and it can be confusing to know which one to choose. This is one of the questions I get all the time from people who use our extremely popular DSLR lens finder to choose a lens. In this article I'll highlight the differences between the cameras and help you make the right choice. 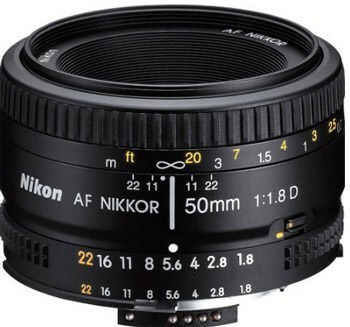 What is the Nikon 50mm f/1.8D? 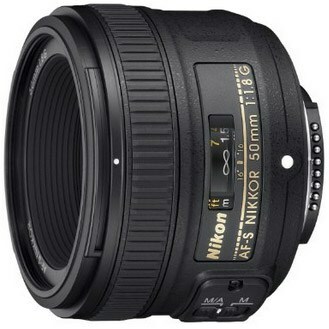 The Nikon 50mm f/1.8D lens is the older of the two lenses. The basic design of the lens was created in the 1970s, but this version was released in 2002. The focus motor on the f/1.8D lens is surprisingly noisy. That makes this lens a particularly poor choice for shooting weddings where you'll be in a quiet ceremony, or for other situations where you'll need to be stealthy. However, as Pop Photo reports, the focus speed of the lens is actually a minute fraction of a second faster than the f/1.8G. However, the silent wave motor of the 50mm f/1.8G is generally regarded as being slightly more accurate. Another drawback is that it comes with a really cheap and poorly designed white rear lens cap which does not stay on well and is not durable. It's nothing like the standard rear lens caps for Nikon lenses. Perhaps the 50mm f/1.8D lens's biggest drawback is that it is not compatible with all Nikon cameras. Most modern lenses, the 50mm f/1.8G have a small motor in the lens which allows it to focus. The 50mm f/1.8D, however, has no motor. On older Nikon lenses, the camera had the motor and would power the lens with a small white X-shaped prod that would extend out from the camera. So if your camera does not have a focus motor, you will not be able to autofocus with this lens. However, there are a few select benefits to the f/1.8D over the f/1.8G. First of all, price. The f/1.8D is generally about $100 cheaper than the g version, but you can check the price of the f/1.8D version on Amazon here, and the f/1.8G version on Amazon here to see what the current price difference is. Another benefit of the f/1.8D is that it can stop down to f/22 while the f/1.8g can only go to f/18. However, that's an extremely limited benefit. I don't know that I have ever encountered a situation where I'd want to shoot at a very high aperture on a 50mm lens before. One thing that I love about the older lens style is that it includes an aperture ring. This is a physical ring you can twist to change the aperture, rather than doing the same from the camera (which you can also do). Most camera manufacturers moved away from this style in the mid-1990s, but I've always found the aperture right to be convenient. The 50mm f/1.8D lens has some optical advantages over the f/1.8G. It distorts slightly less and has a little less vignetting around the edges. Both of these are very minor changes, however. What is the Nikon 50mm f/1.8G? The 50mm f/1.8G lens is the newer version of the aging 50mm f/1.8D. It's more expensive, has some slight updates to the optical quality which will attract more picky buyers, and includes features typical of higher-end lenses such as a silent-wave motor, rounded aperture blades, and decent build quality. The 50mm f/1.8G version feels like a completely different lens. Even without shooting the lens and seeing the optical quality, you can feel right away that the “g” version is much more substantial and well-built. The Nikon 50mm f/1.8G lens is sharper than the 50mm f/1.8D, but I'm hesitant to write that sentence at all. When I write lens reviews, readers often care only about sharpness and fail to recognize that sharpness is only one of a whole host of features that impact the quality of a lens. You should know that the 50mm f/1.8D and G lenses are extremely close cousins in terms of optical quality, and you'd only really notice the sharpness improvement in the 50mm f/1.8G lens if you see it side-by-side with the 50mm f/1.8D. The difference is very slight. Another benefit of the f/1.8g is that the aperture blades are more rounded than those of the f/1.8D lens. This generally produces more smooth and attractive bokeh in photos. However, both lenses have the exact same number of aperture blades (7) so there really is a limited difference between the two. What is the same in both lenses? Both lenses have the same close focus distance of .45 meters. This is a disappointment for me. I was hoping to see the close focus distance shrink on the new 50mm f/1.8G lens. Since a 50mm is a general, walk around lens, having macro capabilities would have been a nice touch on this popular lens and would have helped to justify the significantly higher price tag. Both lenses also have a similar build style with no lens hood, but a front element which is deeply recessed inside the lens. This makes the front element well protected from the elements. One of the reasons I highly recommend the 50mm f/1.8 lenses is because both models work on crop sensor or full-frame cameras. That's a nice benefit for photographers who only had a budget for a crop sensor camera when starting out in photography, but who want to buy lenses that will be compatible with a full frame camera when they are eventually ready to upgrade. Which lens should you buy? There are very few drawbacks to the 50mm f/1.8G in terms of simply “which lens performs better?” The 50mm f/1.8G is very slightly better than the 50mm f/1.8D in that regard. However, the price difference overcomes a lot of that difference because the slight optical quality improvements may not warrant the increased price tag for many photographers. When it comes right down to it, this is what I'd recommend for photographers in different situations. Get the 50mm f/1.8G lens if…. If you're looking into getting a new lens for your camera, you'd be an absolute crazy person if you didn't try out the DSLR lens finder. I spent over a year building it. It asks you 5 or 6 questions about your budget, what camera you shoot, and what you want to shoot with your new lens, and it recommends exactly the right lens for your situation. Check out the lens finder here to find the best lens for your DSLR.